Team Sky have criticised Bernard Hinault as "irresponsible" and "uneducated" after the five-time Tour de France winner urged riders to go on strike if Chris Froome competes in this year’s Tour. As Salbutamol is a specified substance and not a banned one, Froome – who has protested his innocence – has been free to continue racing while the case into the adverse findings continues, and last month won the Giro d'Italia to hold all three Grand Tour titles at the same time. Team Sky have since hit back at Hinault's comments, branding them as "irresponsible" and "ill-informed". "It is disappointing that Bernard Hinault has, once again, repeated factually incorrect comments about a case he clearly does not understand," read a statement released on Thursday. "His comments are irresponsible and ill-informed. Chris has not had a positive test, rather an adverse analytical finding for a prescribed asthma medication. As an ex-rider himself, Bernard will appreciate the need for fairness for each and every athlete. And at the current time, Chris is entitled to race. "This process would normally be confidential to protect the athlete and establish the facts. Unfortunately, it was leaked. However, both Chris and the team are following the process that has been put in place by the UCI. "It is clearly a difficult situation which on one wants resolved more quickly than Chris and the team. "Chris and Team Sky are fully-focused on the upcoming Tour de France and won’t let these uneducated comments affect out preparation for the greatest race in the world." "The peloton should dismount and go on strike saying, ‘If he’s at the start, we’re not starting!" Hinault told French newspaper Ouest France. "The peloton is too nice. Others have been sanctioned with everyone in agreement, but they will not sanction him because it is an (adverse finding)? No, it is not.."
Hinault added: "Ventolin, perhaps it’s not a big thing, perhaps that’s not what won him the Vuelta a Espana. We don’t know. But it’s banned (at those levels) – and that’s it. The rules are the same for everybody." 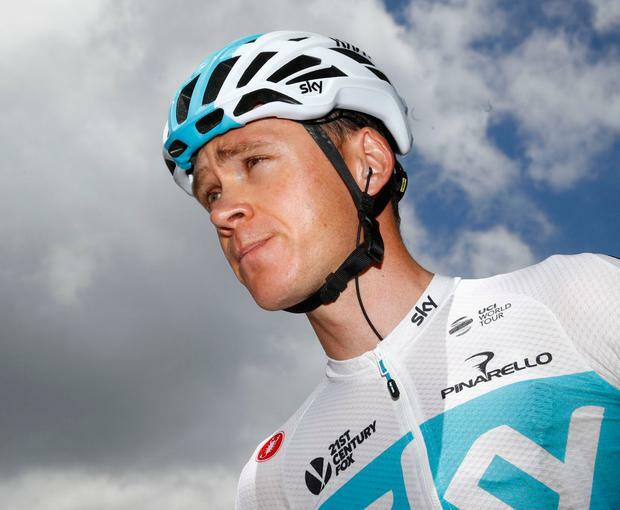 Ewan MacKenna: So how is it then that you explain a freak like Chris Froome?